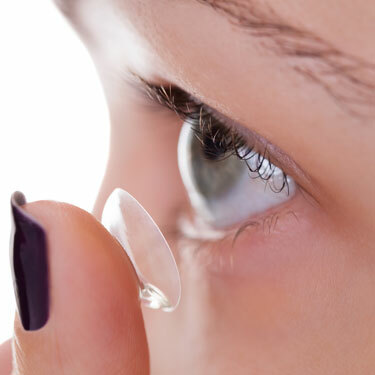 Contact lenses are an amazing alternative to glasses and this is especially true for people who find that glasses aren’t always practical for their lifestyle. With recent advances in design technology, contact lenses are now more comfortable, easier to care for and more affordable. There are many different types of contact lenses on the market and you may be unsure what type of lens is appropriate for your eyes. Our optometrist, Shannon at Outlook Eye centre can help you choose a contact lens system that is tailored specifically to you. Disposable lenses should be replaced according to their disposable time frame i.e. daily, weekly, two-weekly or monthly. Disposable lenses are the most commonly prescribed and are an excellent choice health-wise because there is less opportunity for protein and bacteria to build up on them. With daily disposable contact lenses you won’t even need to disinfect your contact lenses after each use as they are discarded each time you wear them. Extended wear lenses can be worn continuously (day and night) for up to a certain number of days, usually seven to 30. These lenses allow large amounts of oxygen to pass through to the eye. Only the right type and design of lenses may be worn while you sleep – always check with your optometrist, Shannon first. Extended wear contacts are not suitable for everyone; your optometrist can advise if they are suitable for you. These are great for camping trips and outdoor activities. Planned replacement contact lenses last one to several months. Customised soft contact lenses can last up to a year; while customised rigid contact lenses (knows as RGPs) can last even longer and often only need replacing due to a change in prescription. At Outlook Eye Centre, we encourage our contact lens wearers to have eye examinations every 12 months to ensure the prescription and contact lens type are still appropriate and to detect and correct any potential eye problems due to contact lens wear early. After-care appointments are a great opportunity to raise any concerns you may have about your contact lenses or seek further advice from your optometrist. Since a contact lens sits directly on the eye it increases the risk of complications such as eye infections. While serious complications of contact lens wear are rare, regular eye examinations are a good insurance policy. As technologies evolve every year, your optometrist Shannon may suggest you upgrade to the latest material or design.